2018 Dilworth Road W, Charlotte, NC 28203 (#3368317) :: Robert Greene Real Estate, Inc. 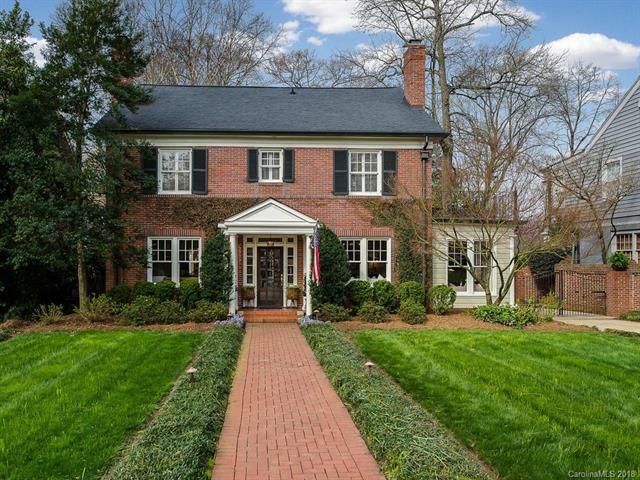 Totally renovated classic Dilworth home, steps from all East Blvd has to offer. Full brick home offers spacious formals & high-end finishes. Large kitchen w/ marble counters and backsplash, center island, stainless steel appliances including Viking 6-burner range, Thermador dbl wall ovens, & Sub-Zero fridge/freezer. Hardwood flooring & high ceilings throughout. 3rd floor guest suite with full bath. Covered porch w/ wet bar & wood-burning fireplace. Detached 2 car Garage & spacious backyard is fenced and private.